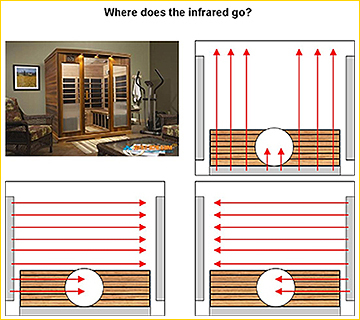 With Long Life Near Infrared Saunas, that problem is eliminated. The lightweight, radiant reflective walls reflect infrared energy to deliver 3 times more therapeutic infrared light and heat than the alternatives. This means that it is not being wasted by being absorbed elsewhere. Reflectix material is 10 times more energy efficient than wood with 97% reflective and only 3% emissive. 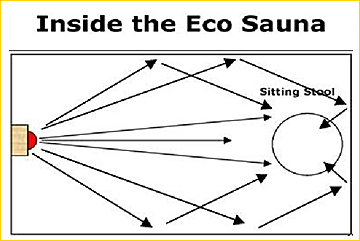 This translates into more heat and light reaching your body instead of becoming a useless resource absorbed into the wood. This material is also durable, lightweight, and cleanable with a damp cloth. 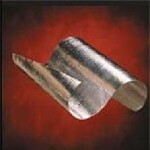 It is non-toxic, non off-gassing, and will not warp, crack or split with repeated heating. Odors cannot be absorbed and the material is mold and mildew proof. Overall, receive more therapy and more durability than wood walled saunas.